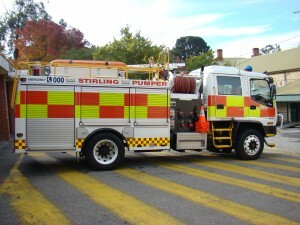 Stirling Pumper (STRL PUMP R) is the brigade’s primary structural and road crash response vehicle. The appliance is equipped to allow fire fighters to deal with the urban based incidents like domestic and commercial structure fires, vehicle fires, vehicle accidents and other rescue situations. 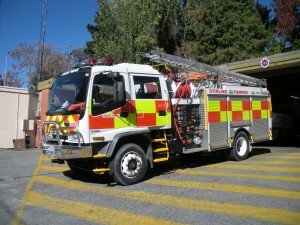 It can also provide a rural backup given the urban/rural interface in our response area. 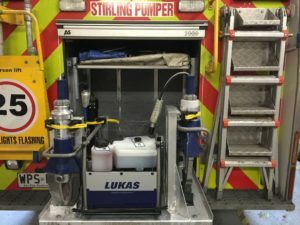 Stirling Pumper is a Pump/Rescue (dual cab Isuzu FVD 950HD auto), it carries 2,000 litres of water with a Darley 2 stage pump (4 x in/out Storz), max delivery of 4,000 lpm supplying 64 mm outlets (800 kPa) and 2 x 90 m HP hose lines (2700 kPa).